SPRINGFIELD – State Senator Cristina Castro (D-Elgin) was sworn into office on Wednesday afternoon at the Inaugural Ceremony at the Illinois State Capitol. 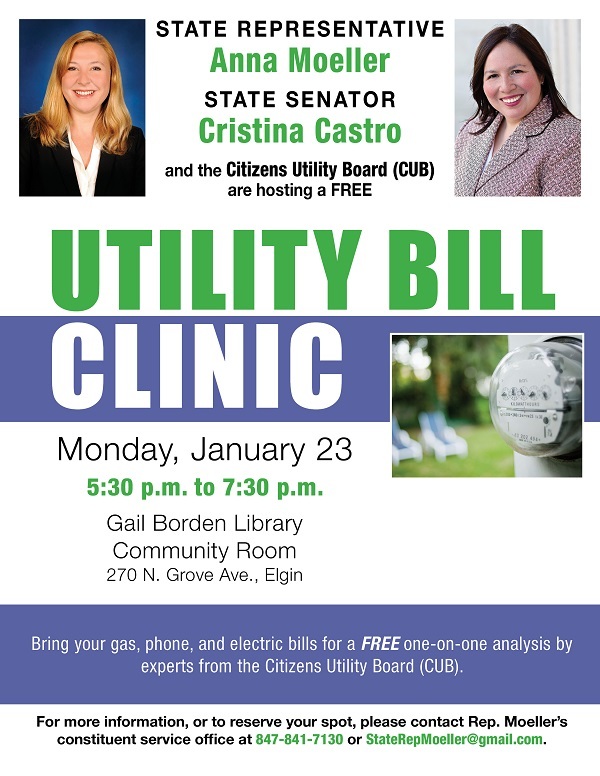 Prior to being elected to the State Senate, Castro served as a Kane County Board Commissioner since 2008, while also working in marketing and communications both in private and public sectors. The 22nd district includes all or part of Barrington Hills, Bartlett, Carpentersville, East Dundee, Elgin, Hanover Park, Hoffman Estates, and Schaumburg. 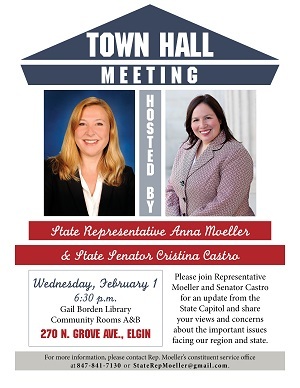 Senator Castro’s district office will be located in the former district office of Senator Noland, Suite 102, 164 Division Street in Elgin.